We’re back this month, and gracing our cover is The Amity Affliction. They are known for their significant lyrics that are constantly influencing their fans in the best way, but, on top of that, they also put on one hell of a show. Also inside: Down With Webster, TEAM*, and more. 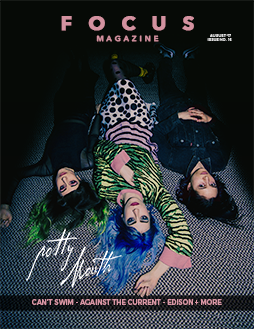 Celebrating ladies in music, featuring Potty Mouth Read it for free HERE. We're looking for new people to join our team. Click here for more information.